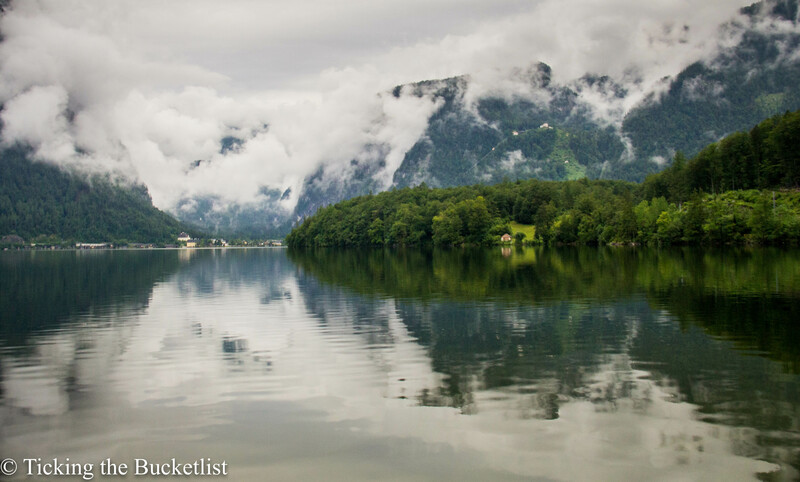 Ticking the Bucketlist » Where did we stay in Austria? 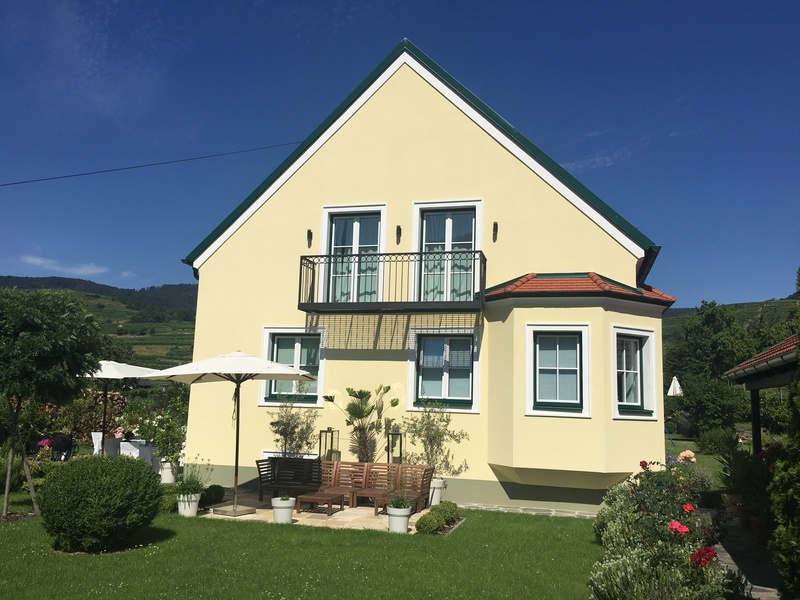 We spent one night at Pension Weisses Lamm, which is just a few meters from the Melk abbey and the town centre. We were exhausted when we got there. Our room was comfortably furnished to let us sleep well during the night. The bathroom was compact, functional and clean. The owner was friendly and helped us find a parking spot right opposite the house. We didn’t know that it was a paid parking and ended up with a parking ticket (EUR 0.50 only!). The sitting area in Weisses Lamm…. However, if you are a light sleeper or a late riser, this place may not be for you. 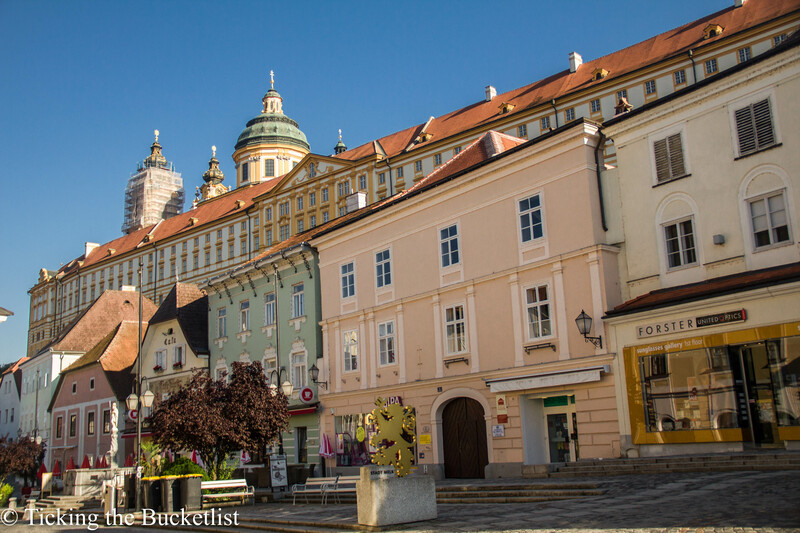 Rather, no accommodation close to the Melk abbey will work for you, courtesy the bells that ring in the church every morning. If you do stay here, ask for a room what does not face the road. While the traffic isn’t much, you can hear the cars zip by if you are in a road facing room. We spent one night at Hotel Haus Am See in Hallstatt. This was the most expensive night of our trip. However, the views from our balcony and breakfast table were worth every penny that we spent. 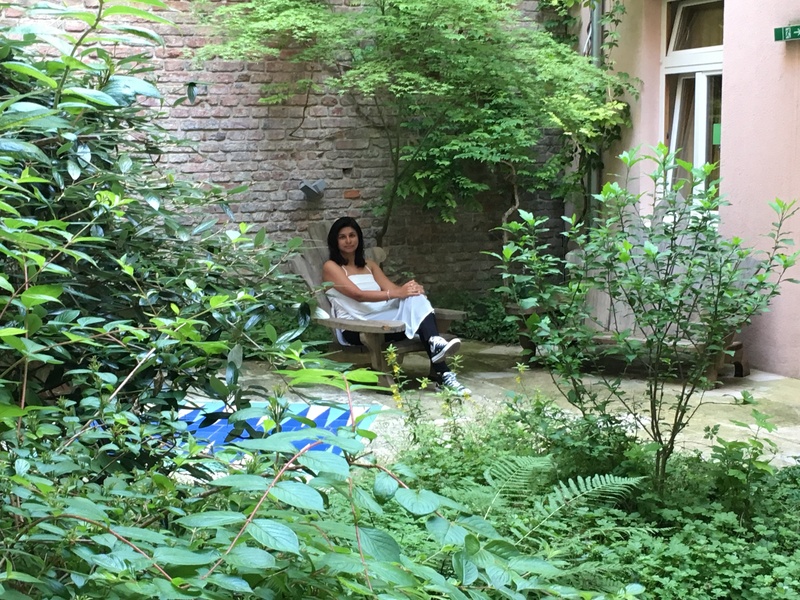 It was amongst the most romantic boutique hotels that we have ever stayed in. The little ledge in the garden seemed to be a perfect spot to jump into the clear waters of the lake. Alas, the heavens opened up that day …there was a thunderstorm …and it rained like there was no tomorrow. So, we didn’t take the plunge and strolled to a nearby pizzeria for dinner. The restaurant at the hotel serves only breakfast. The hotel was located in Obertraun, about 15 minutes away from main Hallstatt. It’s the perfect place if you want to be close to nature, have stunning views of the Hallstatt lake and be away from hordes of tourists who flock Hallstatt town. Lastly, the host and hostess were amongst the warmest people that we met during our entire trip and went out of their way to make us feel at home. Nothing was too much of an effort for them and our stay was a delightful experience, regardless of the sullen weather! Our host at Haus Am See…Big football fan! 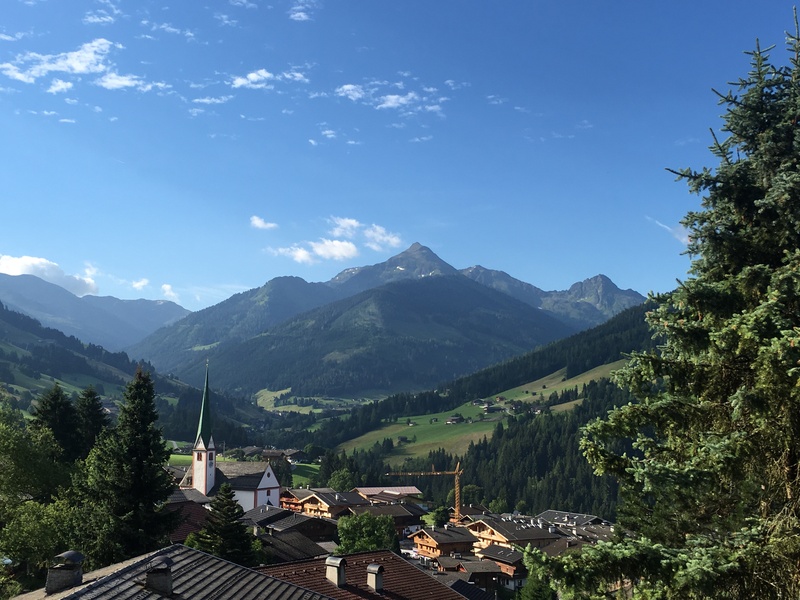 The road trip continues…with Bad Gastein as the next pit stop. 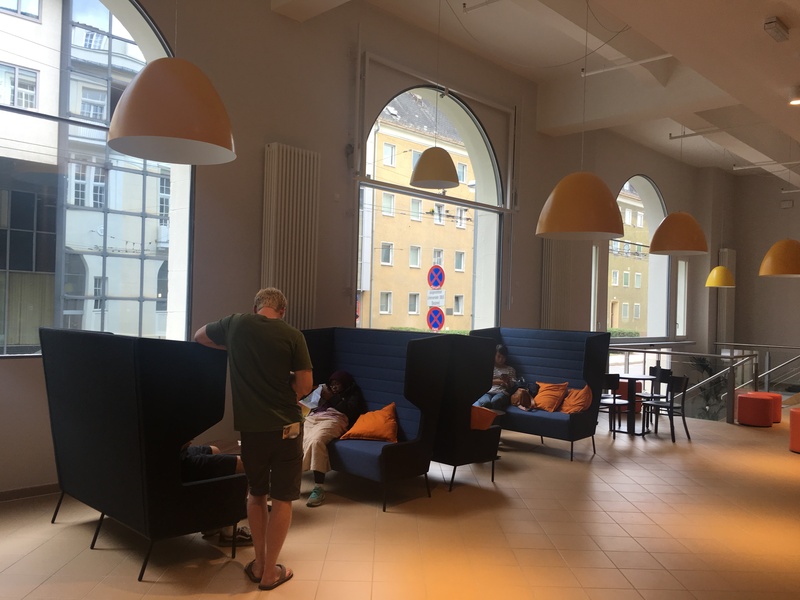 Our place of rest was the Euro Youth Hotel Krone, where we had booked two dorm beds. However, I came down with a bad cold and fever on this very day and we decided to upgrade to a double room, which was a great idea. The room was large, clean and comfortable. The double room also had a balcony with views of the cable cars plying up and down. It was only a few minutes away from the spas and restaurants. The staff was great and provided us with our Bad Gastein cards within minutes of checking in. There was free parking and huge departmental store next door that let us stock up for the drive to Gross Glockner. While we drove around Austria, and saw picture perfect landscapes dotted with cute little chalets, we wondered what would it be like to stay in one. Alpbach is where this wish came true! 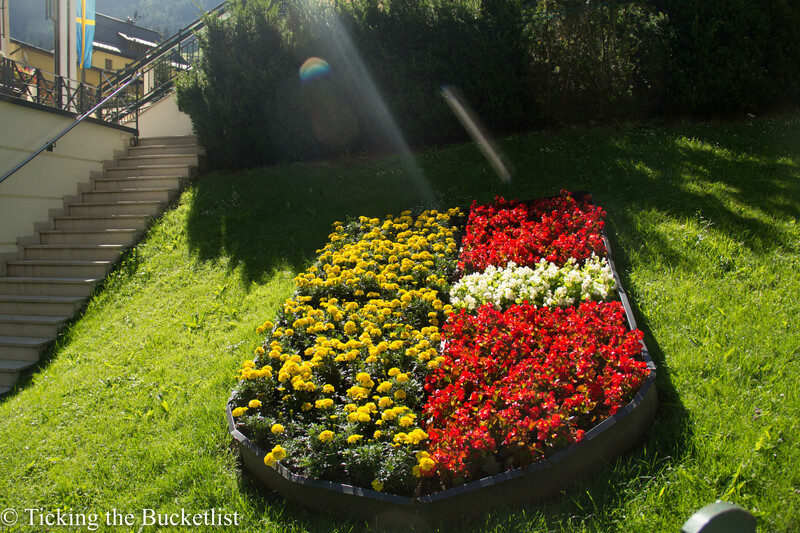 Alpbach is the prettiest flower town in Europe. Most houses are out of a picture book…wooden with sloping roofs, having balconies with blooming geraniums and gardens with fragrant lavender bushes. 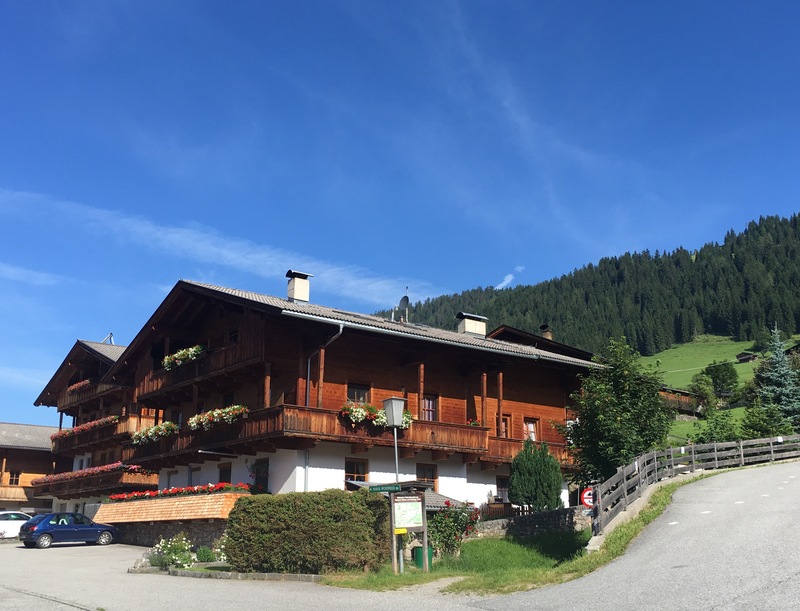 We stayed in a self catering apartment, called Appartmenthaus Sonnenhof for two nights. The kitchen was well equipped and we had a couple of lovely home cooked meals here. Our balcony had views of the Alps, that wore a green cloak during the summer month of July. View from the balcony….green hills all around! We had dinner at a little restaurant, just around the corner. In such a small, little town, and everything was just around the corner. While the ski lifts were a few kilometres away, accessing them was easy as all public transport is free with the Alpbach card, which is provided complimentary to all short duration visitors. In Salzburg, We stayed in the newly constructed A&O Hostel in the six bed dorm. The hostel building itself was very impressive. The architecture was modern and interiors were brightly coloured. Needless to say, Ankur spent quite a while playing foosball. However, as the hostel is new, it is still having some teething troubles. There are no signs put up that indicate ‘quiet time’. Our room mates were really noisy and we couldn’t sleep until 1 am as they kept ruffling plastic bags and walked around wearing ‘noisy’ footwear. We strongly believe that it is the staff that adds character to a hostel. The staff here, obviously, is new here. We met two or three staff members at the reception, each of them wore a student/ intern badge. Communicating in English was a little challenging. In all honesty, A&O at Salzburg was more of a budget hotel, with clean facilities and not really a vibrant hostel. Maybe, a couple of years later, it will develop a character of its own… who knows? I just knew I wanted to stay in a vineyard in the vine valley. I wanted to relive the romantic moments that we had enjoyed in the vineyards of Robertson in South Africa while we were on our honeymoon. I also wanted to pluck some ripe apricots, go cycling and enjoy a walk along the bank of the Danube. 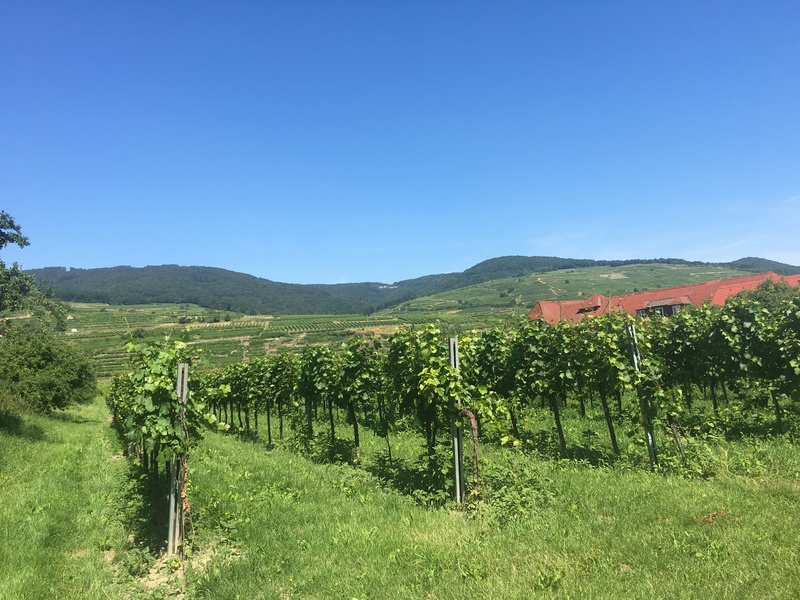 We decided to stay in the little town Joching, with a local family, away from the touristy areas of Krems. We were so happy we did that! 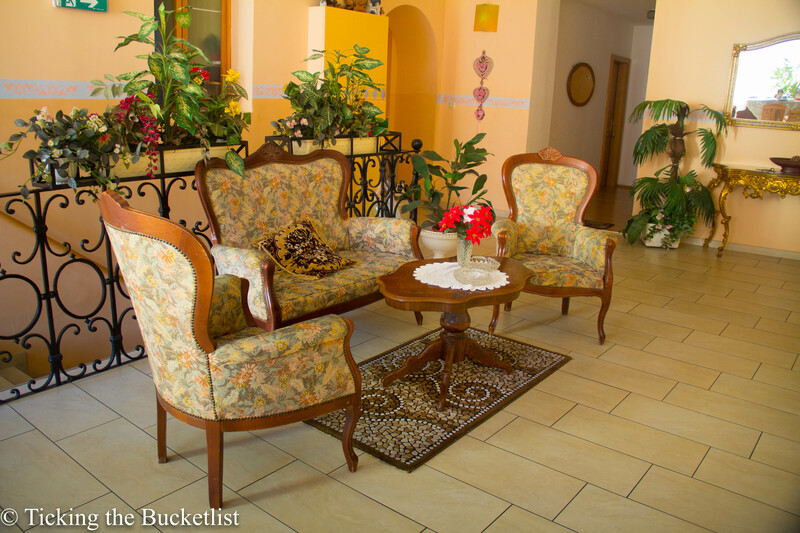 We stayed at Landhaus Smoech, a lovely house, tastefully decorated. Our host family was great and made us feel welcome. Their daughters were like angels, and the youngest one let me play with the pet bunnies as well! Location wise, it was perfect… by the river, with vineyards as the backdrop and a small orchard (apricot and apple trees) in front. There was a wine cellar around that offered wine tasting and another wine garden that let us soak the evening sun as we sipped unending glasses of wine. We would love to go back and spend a few more days with Michael and his family! 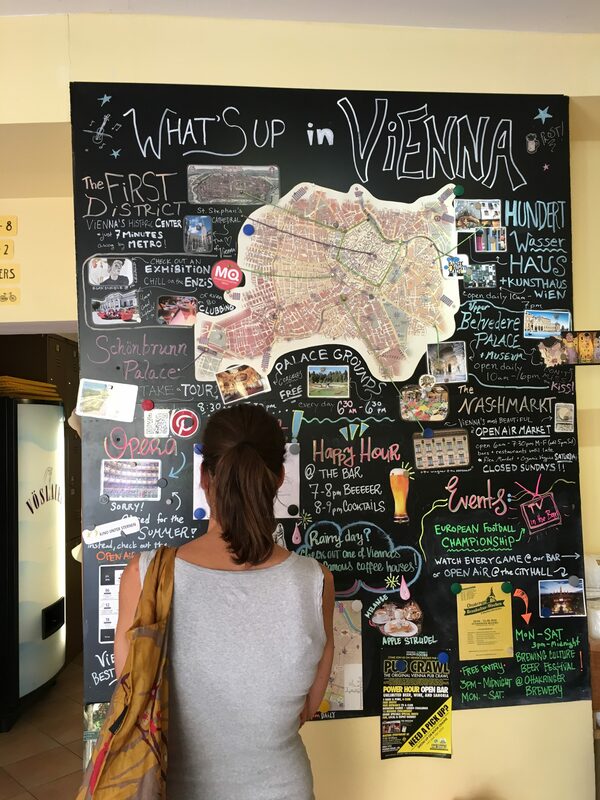 Our first hosteling experience was with the Swanky Mint hostel at Zagreb …and it was a lot of fun. The Ruthensteiner Hostel at Vienna once again reminded us that hosteling in itself is a fun experience and made us feel a decade younger! Ruthensteiner is one of the oldest hostels in Vienna and has the most awesome staff. We were greeted by Courtney, who herself has backpacked for quite a few years and knows that what a traveller needs most is a comfortable place to crash and an opportunity to exchange travel stories. They have rooms and suites and welcome kids too! They have vibrant common kitchen and garden that has fresh herbs. Evenings were alive with fellow backpackers playing the guitar or piano (yes, they have a piano!). We would have loved to spend a few more days here and explore more of Vienna, but time was short! A review post for Ruthensteiner is in the making, and I will post it soon, with an intention to inspire people, including those with young children to try hosteling, provided the hostel is as rocking as this one, Until then, if Vienna is on your travel map, book yourself a bed here! That sums up our pit stops through Austria. Do let us know if you are planning to visit this alpine country, we would love to help you plan! Let the travellers’ tribe grow! After seeing your blog I am really keen on doing the Grossglockner HIgh Alpine Road which unfortunately is a bit out of the way. Should we just omit that and drive straight from St.Gilgen to Innsbruck or we should take a diversion which will add 2 hours to the journey. Any other suggestion? Highly recommend Gross Glockner…. it’s an awesome route. Keep the entire day for it. You might want to reduce time in Innsbruck if you do that … that just my humble opinion. Don’t miss the salt caves when you are in Salzburg… and the stunning town of Hallstatt. 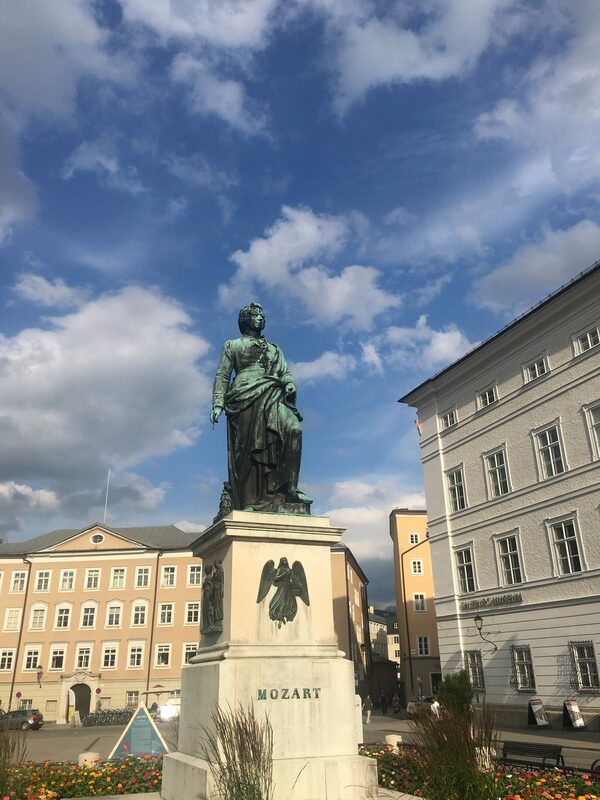 Beautiful blog, nicely written, you have taken me through a virtual tour if Austria…amazing! Came across your blog yesterday, we are planning for a trip to Austria for 14 days in May 2018 along with our 12 yrs old daughter. Still haven’t confirmed our itinerary but are looking forward to follow yours. Did you book the hotels trivago, Expedia, booking.com or opted for hotel website? We are not confident of the left hand drive / road. can we follow your itinerary using public transport? We booked using booking.com. If you use the link on this website for Booking.com, it gives us some extra points without any cost to you. Don’t stress too much about the drive. 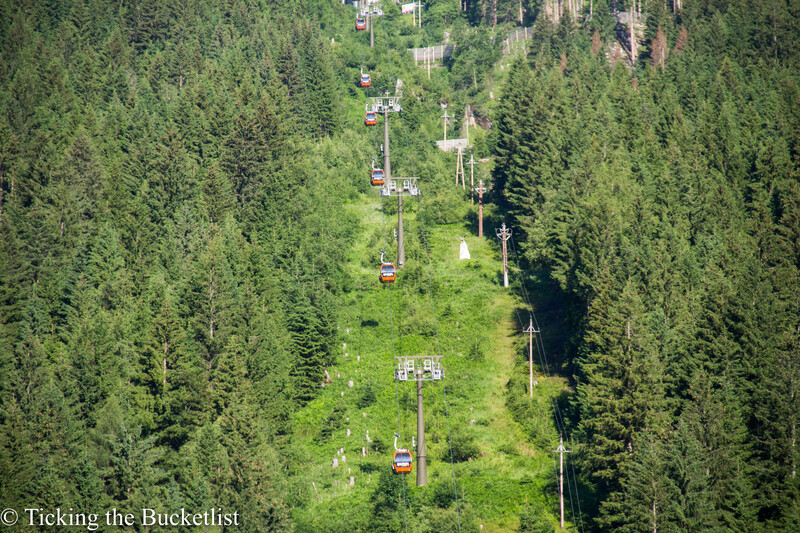 You can do most places in the itinerary using public transport… except maybe alpbach. Go to Innsbruck instead. But the drive isn’t as difficult… maybe rent a car for just one day to get comfortable for the next time.